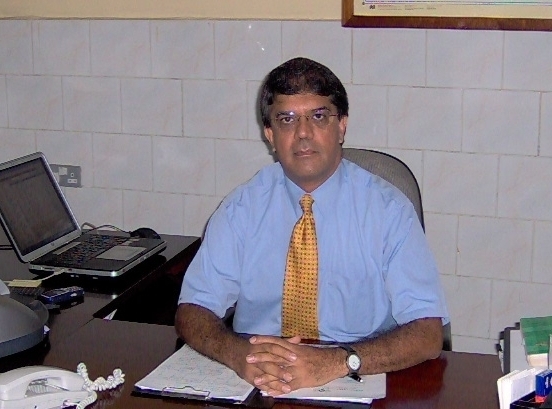 Nazeem Mohamed is chief executive officer of Kampala Pharmaceutical Industries (KPI), a Ugandan generic manufacturer. Local manufacture of medicines is described by many, including the World Health Organization, as one of the tools that will increase access to medicines. Mohamed is former vice-president of strategic product development at Novo Nordisk, based in Belgium. He also worked for several leading multinational companies such as Pfizer and GlaxoSmithKline before his appointment as CEO of KPI. With Intellectual Property Watch’s Catherine Saez, Mohamed discussed KPI, the challenges of local drug production, the burden of non-communicable diseases, the issue of substandard medicines, rules engineered in the West which can hinder affordability and access in a least-developed country, unfair competition, and unmet skills building needs. Intellectual Property Watch (IPW): Please tell us about Kampala Pharmaceutical Industries and what you produce? Nazeem Mohamed (NM): KPI is part of the Aga Khan Development Network, a group of private, non-denominational, international development agencies that work in the fields of social, cultural and economic development. The social and cultural development activities, such as education, health, school, training for farmers is all done not-for-profit. However, Aga Khan Fund for Economic Development runs companies for profit and has a strong presence in particular in East Africa, West Africa, Pakistan and Central Asia. KPI is part of the Aga Khan Fund for Economic Development, and is a for-profit company. The Aga Khan group bought KPI in 1996 at that time as a joint venture with an Indian company called Kopran, which at that time was one of the top ten generic manufacturers in India. A few years later, we bought out Kopran which is now a fully owned company of the Aga Khan Development Network. We manufacture and market branded generics, about 60 products ranging from pain killers to both penicillin and non penicillin antibiotics, cough and cold syrups, allergy products and creams and ointments, products that we really need in our region. They are all generics but branded generics and part of the essential products lists. We employ about 280 people and are the largest manufacturer in terms of volume in Uganda and one of the largest in East Africa. We also export to Tanzania, Kenya, South Sudan, to Rwanda so KPI is not just a Ugandan company but an East Africa regional company. IPW: Uganda is a least-developed country (LDC). Are you producing generic versions of medicines under patent? NM: No, we have not had any need to produce generics of patented products. For many of our countries the TRIPS [the World Trade Organisation Agreement on Trade-Related Aspects of Intellectual Property Rights] regulations have not fully integrated into our laws, although the process is going on. Luckily, to date we have not had any emergencies which would have called for the need to use drugs under patents. In the region, we are already making second-line antiretroviral drugs and the anti-malaria drugs that we need. But of course, the TRIPS flexibilities give us an advantage, in particular in Uganda which is an LDC. If we had an emergency, we would be able to basically avoid patents and manufacture those products. So it is kind of an insurance clause. IPW: What is the procedure for producing generic medicines? NM: The way we produce medicine is really no different from the way GlaxoSmithKline or Roche or anybody else does. We follow very strict formulae, either the British, European or international pharmacopeia. In Uganda we are lucky – it is not the case everywhere – we have a very capable and well respected National Drug Authority (NDA). They are very strict … and keep us improving our quality systems. IPW: We often hear that LDCs do not have production capabilities. Would you agree with this? We make drugs the same way that top multinational companies do. The only difference is that our facilities and some of the documentation may not be as smart. Those things cost an enormous amount of money. One of the challenges, and I have discussed this many times with organisations in the West, if you aim for the absolute highest quality in terms of the way the product is made, it comes at a tremendous cost and this would mean that our products would be unaffordable for our people. Today, we sell 100 amoxicillin capsules for less than £1 [US$1.70]. This is where one of our challenges stands. There is a tremendous move by international organisations like the WHO [World Health Organization] in Geneva to push us to improve our quality systems. That is fine and that’s good, and we want to do it, but to try and push us to comply to the WHO expectations of current good manufacturing practice, is virtually impossible for most of us. Today in Africa, there are only a few companies that have achieved this standard but unfortunately they are not able to produce the basic essential medicines that we need because of their very high cost of operations, making the price of the finished medicine unaffordable for most of our population. The quality requirements are very rigid. For example, if you were setting a new facility, following those good manufacturing practices, every room in your factory, has to be controlled for temperature, humidity and the number of times the air changes. To reach this standard requires millions of dollars, just for that system. For most of us it is just not affordable. We have a good quality system, but not to that standard. If you take any of my finished products, or from any local manufacturers here in Uganda and test it against international standards, they will all pass. In fact, before any KPI product is released to the market it must pass the international standard according to the pharmacopeia. But the way we make products is not exactly the same as a multinational company. If we were to do that we could never sell the products at the price that we do. We are continually improving our quality standards, but between quality and price there is a balance. IPW: Is research and development being conducted in Uganda for endemic sicknesses? NM: Yes, there is a fair amount of research done on malaria, HIV/AIDS, and clinical trials conducted, but no real development in terms of drugs, that is all done in the West and now increasingly in India and China. IPW: What is the burden of noncommunicable disease in Uganda and what is the need for medicines? NM: It is one of our biggest challenges going forward. Today governments are struggling to even manage the infectious diseases. Now people in Africa, particularly the growing middle classes are beginning to develop life-style diseases, such as heart diseases, cancers, diabetes, and high blood pressure. Those are incredibly expensive to manage because once you get them, you get them for life. How are we going to afford it? It is a big burden. The only way to address it is to really work in a partnership with the government, private sector, and civil society. There is a lot of education to be done on the prevention of these chronic diseases. IPW: In what areas would you say that Uganda is most in need of affordable medicines? NM: Many medicines are still not quite affordable in Uganda. Half our population lives on less than two US dollars a day, so how can they afford medicines? It is a huge problem, in particular for NCDs. To be honest, if you got cancer, you are talking about thousands of dollars of treatment. Very, very few people in Uganda or in our region can afford that. For AIDS and malaria, drugs are affordable because there is still a lot of donor funding coming in, but as soon as the subsidies go, it is going to be difficult. We make fairly affordable drugs but a large proportion of the population just does not have the means to buy drugs. Access is a very complex problem. Almost 90 percent of the population lives way away from cities. It is not unusual for people to walk for a day to get to a clinic. It is interesting to note that even in any tiny village you can always find Coca Cola and cigarettes. So maybe we can learn something from that. Some products require a cold chain to be transported and that just does not exist. But we are not allowed to transport our tablets with other goods than medicines. There are a lot of restrictions and some of them make sense but with tablets we don’t need to be that careful. There is no reason why we could not transport our medicines in Coca Cola trucks. Some rules are made in the West and it is very difficult to change them because of reliance on donors that apply those rules. IPW: Counterfeit or spurious medicines are supposedly a huge problem in Africa. How is that problem affecting your work and markets? How are you addressing it as a generics company? NM: A very real issue but I have not seen any real substantiated data. We are led to believe it is a very big problem but I cannot quantify the problem and I don’t know if anybody else can. KPI belongs to the association of local manufacturers and one of the association’s goals is to pick up substandard medicines from the pharmacies and report them to our regulatory agency. Sometime back a pain killer manufactured in China was sold on the market for a price which was the same as what we have to pay for the raw material. We asked for a sample and analysed it and it was clear that the product failed. This was reported to our regulatory authority and I think they instituted a recall but by the time the recall is implemented, the drug is already sold. There is a lack of capacity in our regulatory authorities to go after these guys. Those are bad guys and we want to go after them, but I have never seen any data and would love to see some. I am not saying that all generics are good, as there are a lot of substandard generic drugs. However, at least in East Africa, the substandard products are not manufactured locally, they are imported, primarily coming from India and China. IPW: What is your relationship with the brand-name foreign pharmaceutical industry? NM: We don’t have much of a relationship with brand-name foreign pharmaceutical industry. Until recently those companies were not so interested in Africa. The continent represented a very small part of their earnings. In the last few years because it has become so difficult in the West, in part because of regulations and margins going down, everybody has become interested in Africa. But multinationals are not particularly investing in Africa. There is a lot of talk going on, but if you look at technology transfer, for example, there is very little being done by Western companies. The Indian companies have been more aggressive in taking a position in Africa. We have a lot of other needs, not money, but to develop our skills, for equipment. Back when I was working for those multinational companies, they would change their laboratory and production equipment very often. Three-year-old equipment for us is nearly new. If somebody was brave enough to start an initiative and make sure that those older equipments from the West can be sold or donated to companies in Africa, it would be a very smart thing to do. That could maybe done by an NGO. IPW: Is there anything that you would like to see from a policy standpoint, either nationally, regionally or internationally that would be helpful for you? NM: One of the biggest issues in our region is unfair competition. About 80 percent of the products in Eastern Africa are imported from outside, primarily from India and China, but also Europe, Malaysia and other countries. India and Chinese governments give subsidies to their manufacturers. They can actually dump products in East Africa at an artificially low price making it very difficult for local manufacturers to compete. It is not a level playing field. Some countries are smarter, such as Ghana and Nigeria. They have done certain things in terms of government policy to support their local industry. For example, in Ghana you cannot import certain products and there is a price preference for locally manufactured products in government tenders, consequently, their local industry is far stronger than in Uganda. Ghana in terms of population is smaller than Uganda but they has 22 companies actually manufacturing medicines, supplying around 30 percent of their products whereas in Uganda we have around 6 factories and we supply only around 10 percent . Other policy issues include higher education. We have very smart people coming out of our universities but they are extremely academic in their approach. They have very little technical experience. We need to improve the university curriculum to include a larger content of industrial training. Not enough is going on in research and development and it would be useful to start some hubs and start developing new products, in public private partnership. IPW: What would foster drug innovation in Uganda? NM: The first thing would be to reform our curriculum. Students need to get excited about working in industry. We also need skills in maintenance. At the moment for the equipment we have, we often fly people over from India to do the maintenance. It is just not taught in our schools and universities. This part has to come from our government. We also need a lot of support from outside initially so that we are able to run out our facilities more efficiently. Although we are making drugs we do not have a huge amount of experience. So that needs to be done. Also sometime people do not appreciate that when donors are just dumping drugs this is not helping us. I would much rather donors send an experienced formulation development person from the West to come to Kampala for two months and stay with my team and teach my team how to approach formulation development because that is not taught here. "Interview With Nazeem Mohamed, CEO Of Kampala Pharmaceutical Industries" by Intellectual Property Watch is licensed under a Creative Commons Attribution-NonCommercial-ShareAlike 4.0 International License.